Magento® Admin Product Preview Plus Extension is a very useful extension that helps you to check out the frontend page while carrying out settings up in the admin. You needn’t follow the standard process as before because it often takes you time to complete all settings and just after you save configuration and move to the frontend page, you can see what you have done. Therefore, with the following awesome key features, Magento® Admin Product Preview Plus Extension not only saves much time for you but also does optimize your setting up process in the admin most effectively. Add View Page button to see the frontend page from Page information after clicking any page in the page grid view table. Link to Google map from Shipping Address in Order Grid by adding “View Map” button. Admin can know well about distance, time and also detailed direction with step by step. Moreover, various ways based on means of transportation is supported to help admin select the best way. 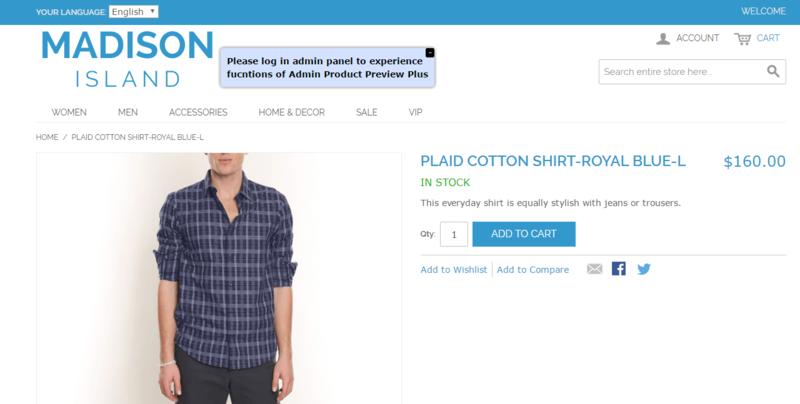 Why Magento® Admin Product Preview Plus Extension is a must –have extension? As usual, when you are setting up in the admin and if you want to see how these settings are displayed, you have to save configuration and then open the front end page to check. However, with Magento® Admin Product Preview Plus Extension, this process becomes easier ever before because Preview buttons allow you to see frontend in a new tab immediately just by one click in Admin. It is extremely convenient for you without spending much time carrying out step by step. Magento® Admin product Preview Plus Extension helps you to check customer and product information when processing orders in Admin-Sales. BSS Commerce has a very enthusiastic support team with professional working attitudes and high responsibilities. We support you anytime you need helps via Skype and support email. In addition, we also provide you very detailed instructions to use the extension in an enclosed PDF file or if you want us to help you take installation and configuration, we always try our best without any charges. Therefore, BSS Commerce commits to bring you satisfaction not only about our extension but also service quality as well as expects a long-term relationship to develop together. Thank you so much for your very convenient extension that helps me a lot in setting up in the backend. Especially, I really feel like the function of linking shipping address by using Google map because I can easily locate exact locations of customers without any mistakes. Highly recommend for Magento sites! I am very satisfied when purchasing this extension. It helps me save a lot of time in the setting process from the backend. Especially, BSSCommerce's team is extremely enthusiastic with fast and effective support. This is exactly what I am in needs and I really believe in my buying decision. 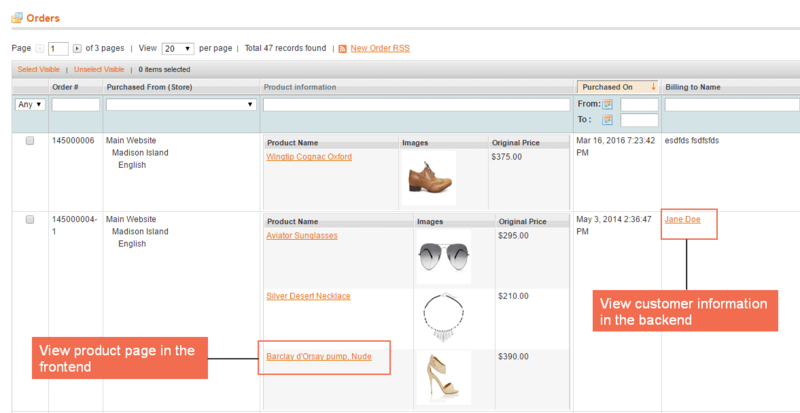 Why Should You Pay For Magento Admin Product Preview Function? [New Release] Magento Admin Product Preview Plus Extension: How Effective It Is?